Adriatic Luxury Hotels Blog: Wine Season is here! September is wine month in and around Dubrovnik, especially in the renowned wine-regions of Konavle (south of Dubrovnik), and Pelješac Peninsula (northwest of Dubrovnik. From fruity Pošip to rich, vibrant Dingač there is something for every palate. As a special and very dear project of ours, we have partnered with one of the finest wineries from the Pelješac region - Skaramuča family winery - and have selected a premium plot to grow a limited variety of Plavac Mali grape to create a special Dingač reserve, which will be exclusively sold at our hotels and villas. 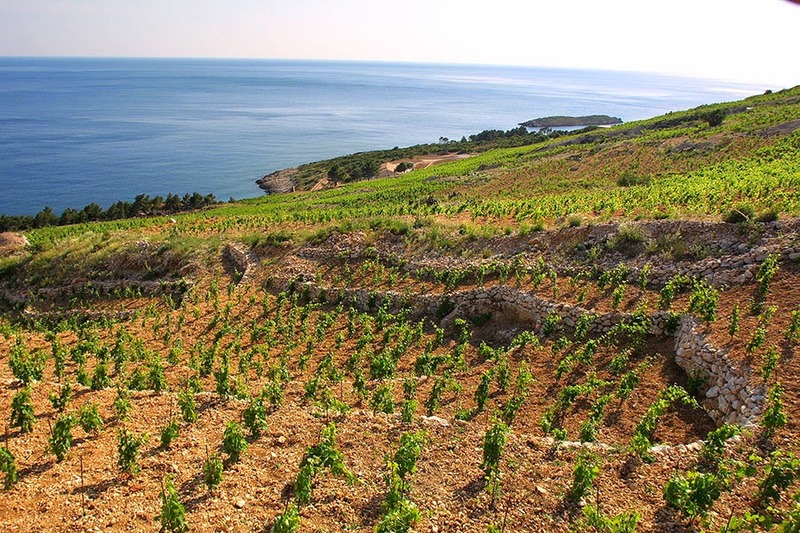 Dingač represents a small patch of land covered in picturesque vineyards located on the southern hillsides of Pelješac Peninsula northwest of Dubrovnik. The area is unique for its microclimate and position, which can have up to 3000 hours of intense sunlight annually over its steep slopes spread above the Adriatic shoreline. This elegant, multilayered wine with lots of ripe fruit notes such as cherry and prune is vibrant, rich and impenetrably ruby. The rich and layered fruitiness mixed with a final spicy touch of oak typical of Dingač results in pure pleasure of excellent balance: luxurious, powerful and warm. To enjoy our exquisite Dingač Reserve or another top Croatian wine, ask you friendly server or bartender for a recommendation or wine pairing advice. This is great thing, one should try different drinks at different locations, so that flavor taste also change according to location change. Copyright © 2014 Adriatic Luxury Hotels. All Rights Reserved. Simple theme. Powered by Blogger.